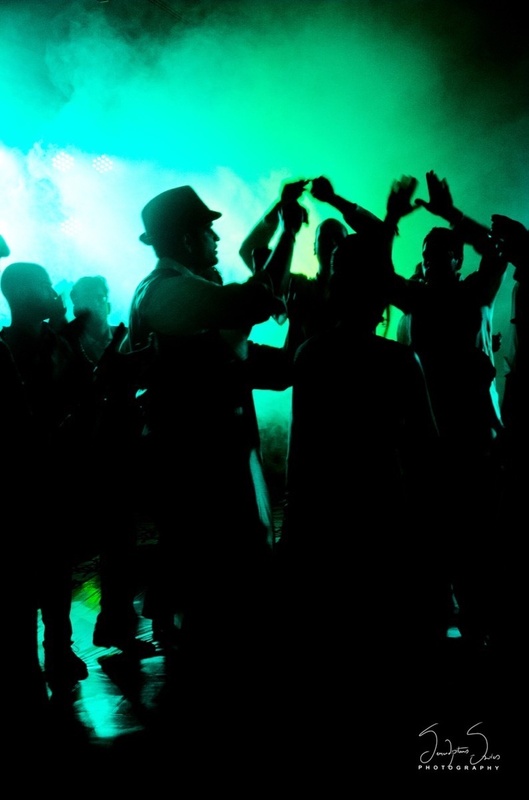 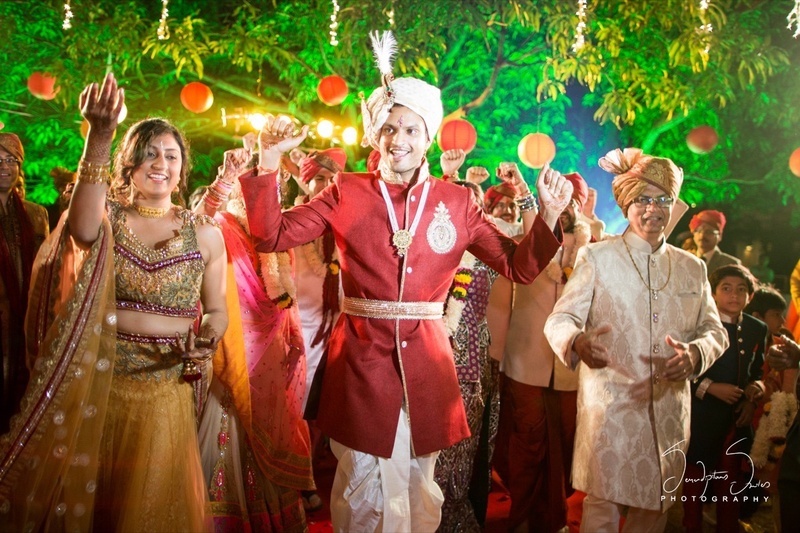 Nothing quite like a destination wedding in Alibaug. 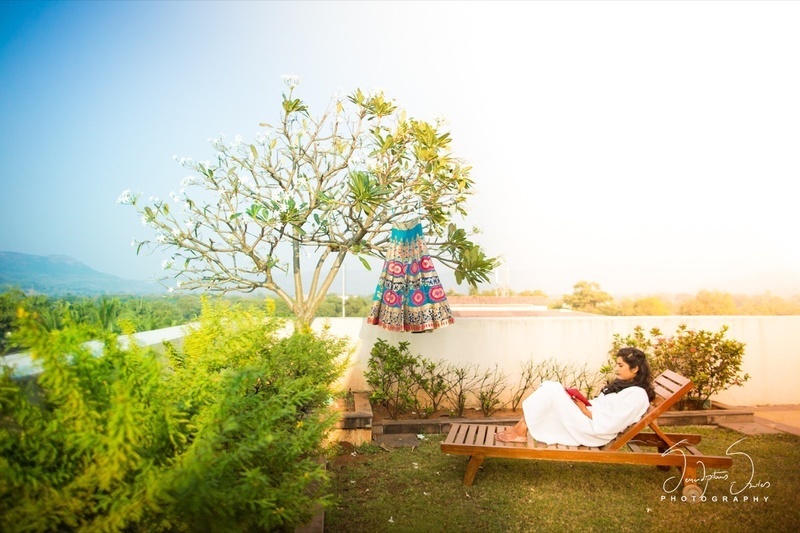 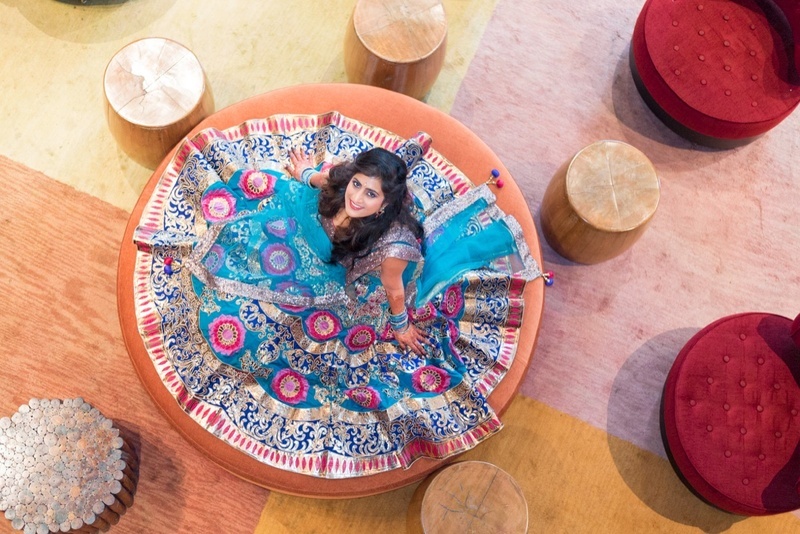 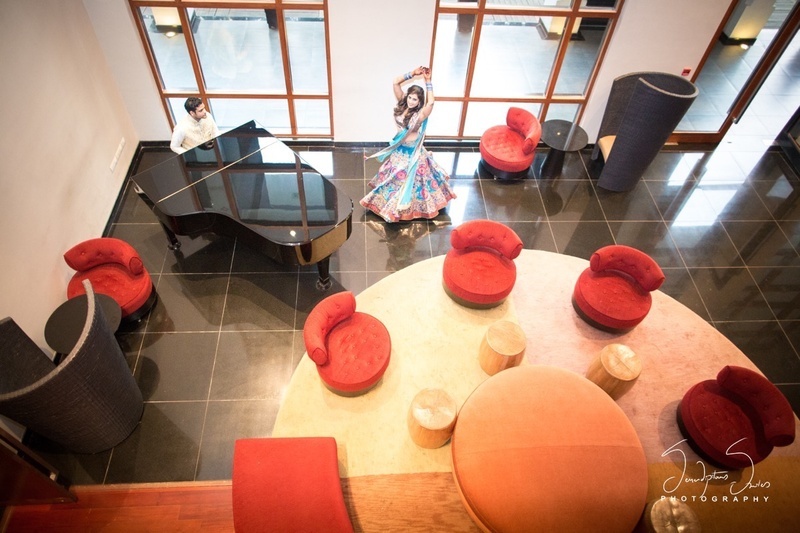 This fancy wedding venue brings together the perfect blend of traditional and contemporary – just like Rishee and Sneha’s wedding held at Radisson Blu, Alibaug! 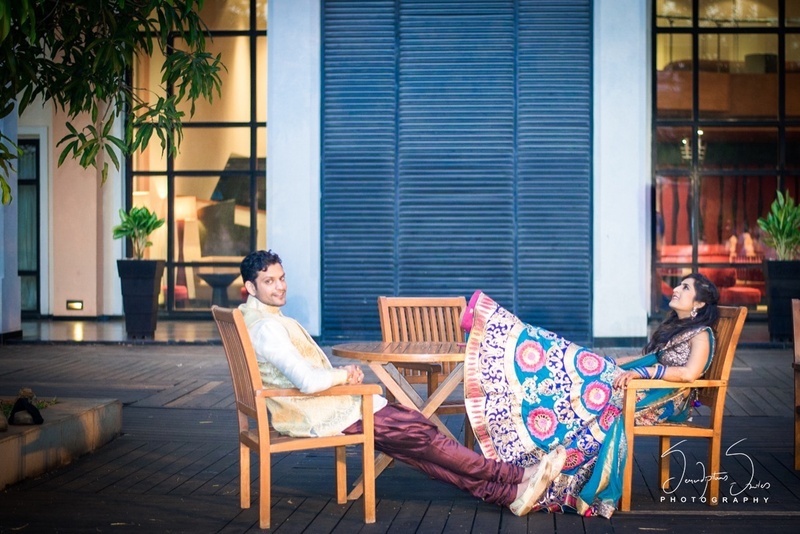 Rishee proposed to me in August 2013 when I least expected it – on a local train in Mumbai. 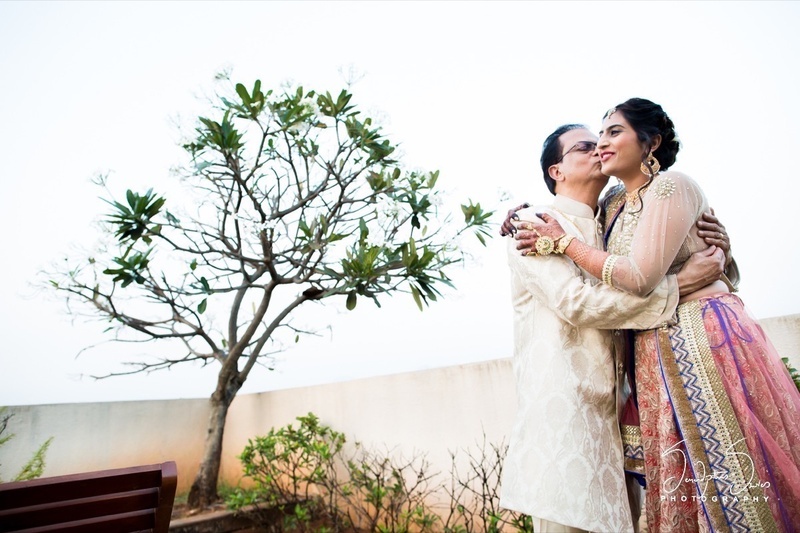 He said it was a few years ago on that train – when I forced him go in the men’s compartment while I comfortably went in the much less crowded women’s compartment – that he realized he loved me despite my crazy antics. 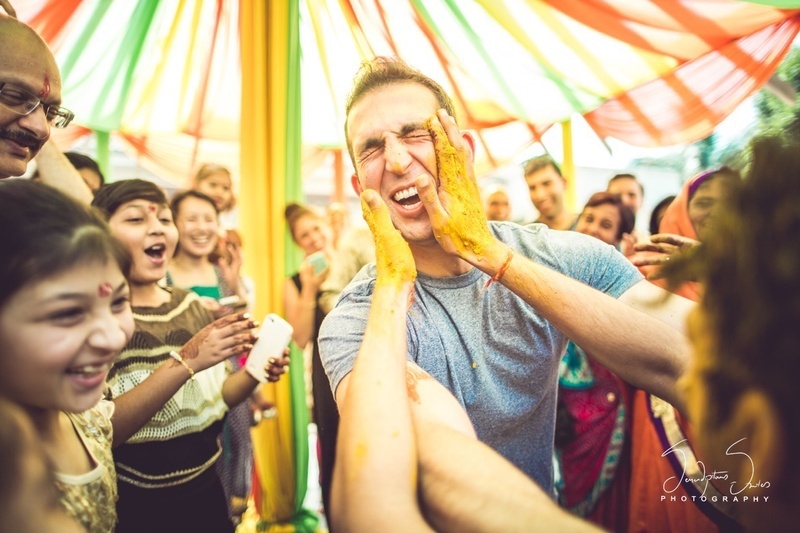 I never knew about this moment until he proposed! 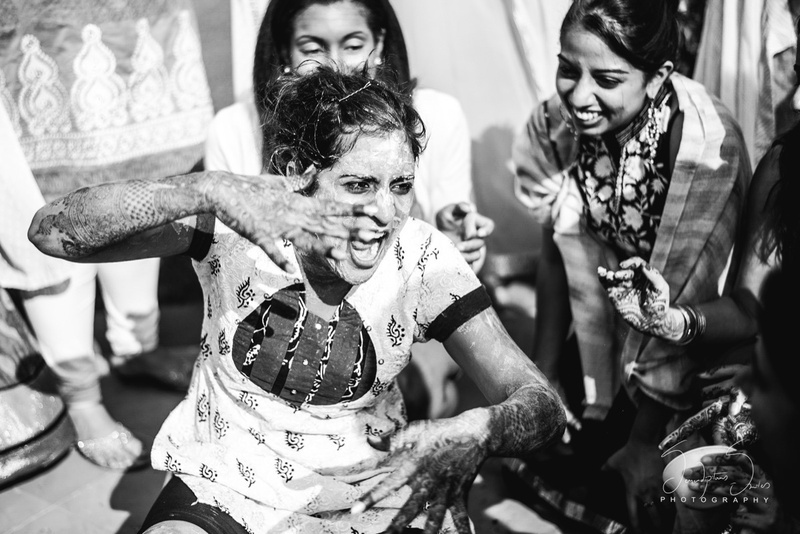 My reaction was: are you really doing this on the train? 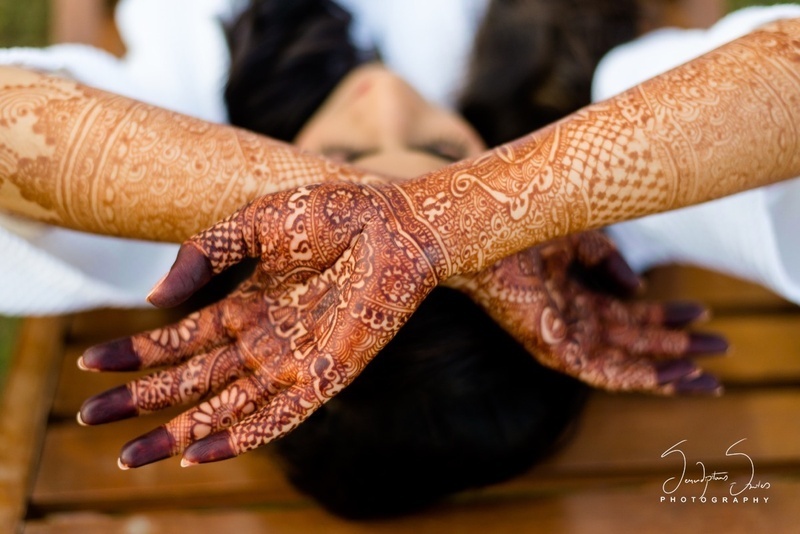 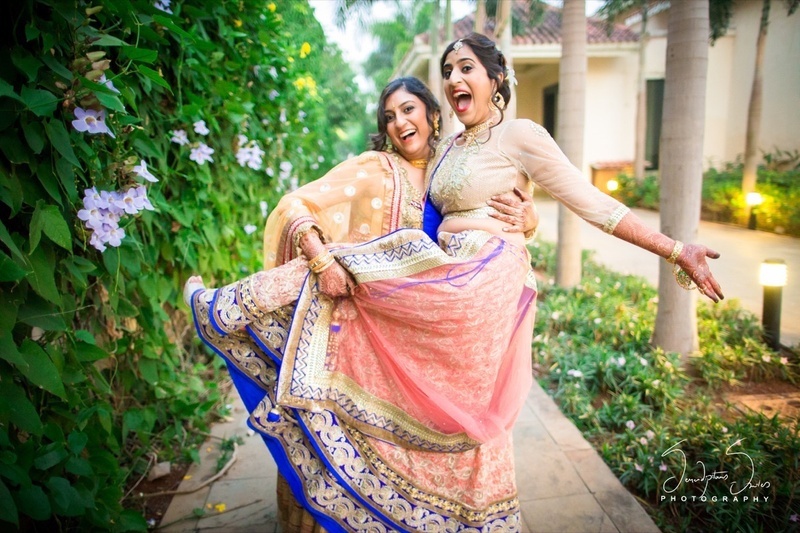 Shot brilliantly by Radhika Pandit Photography (Serendipitous Smiles) who captured their wedding in all its prettiness! 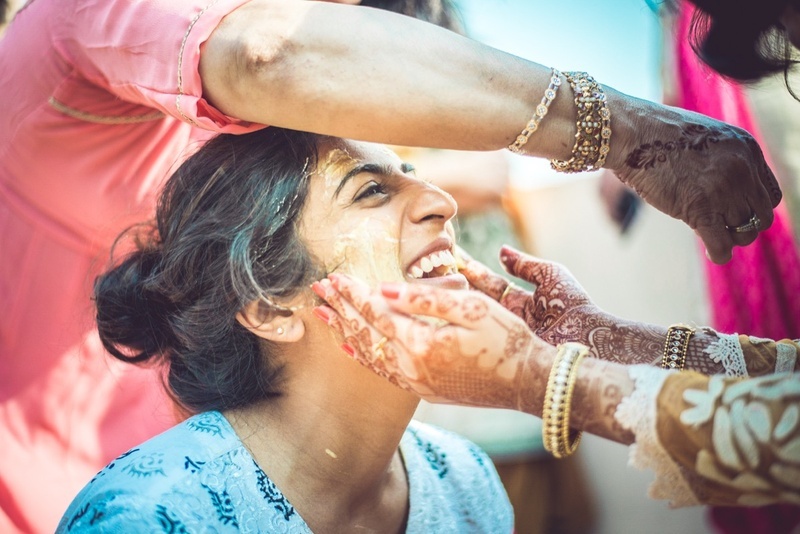 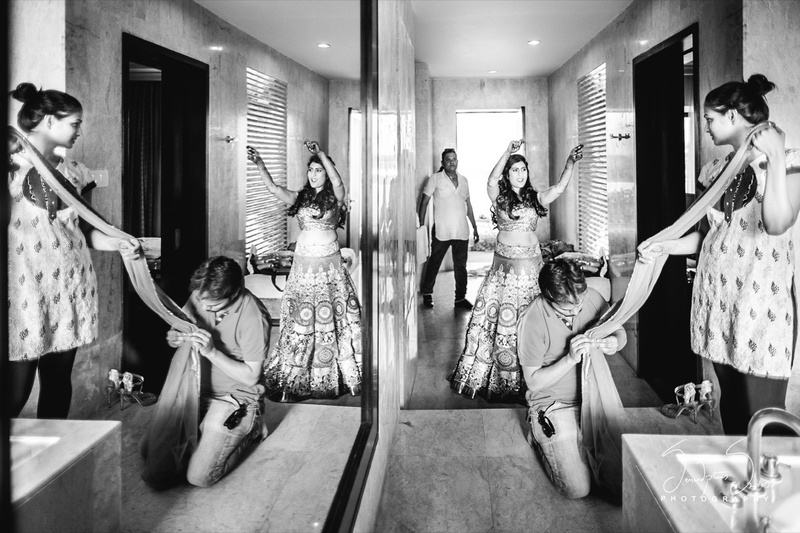 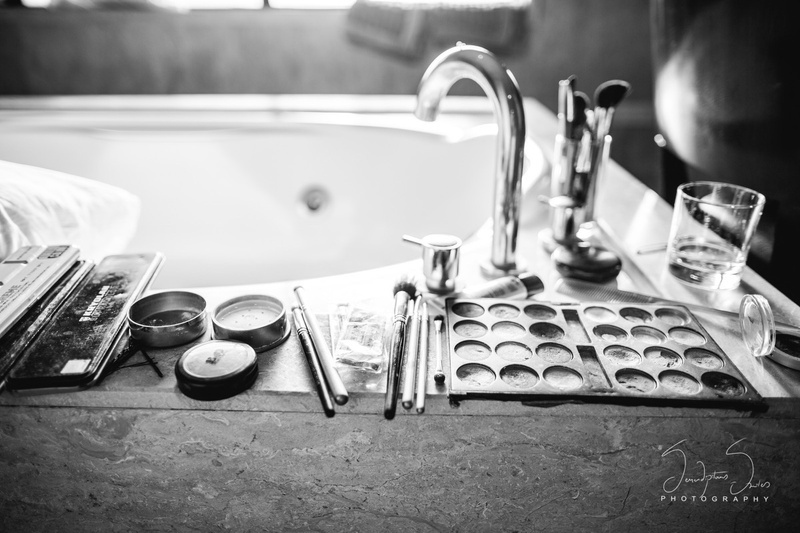 Right from the candid moments to the crazy boys-doing-makeup photo – each picture she took spoke of the intimate fun wedding that Rishee and Sneha had. 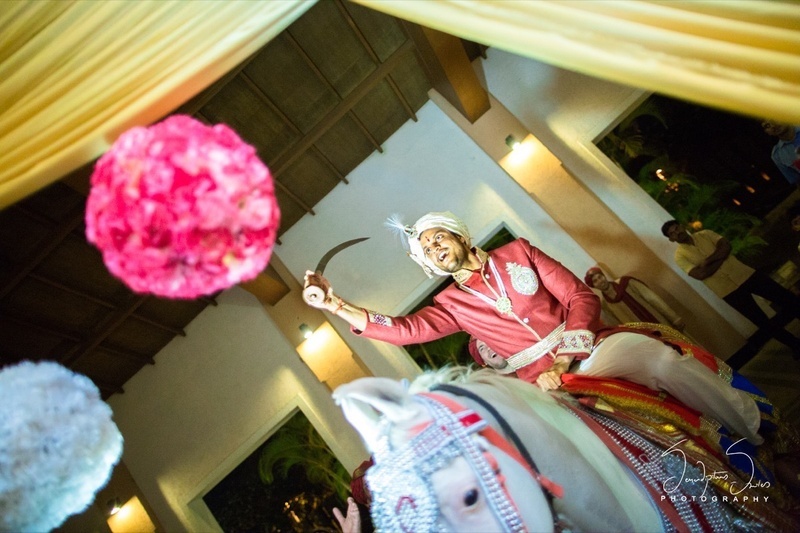 Isn't he the happiest Groom? 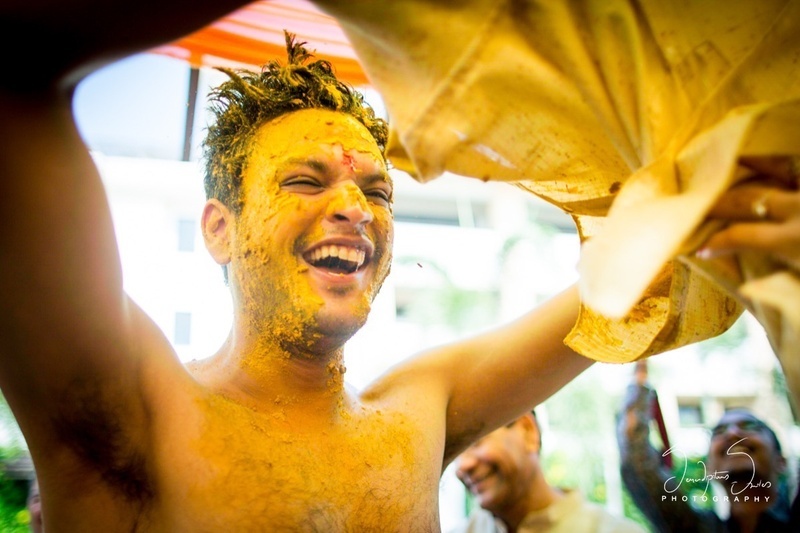 Bride getting drenched in haldi for her Haldi ceremony. 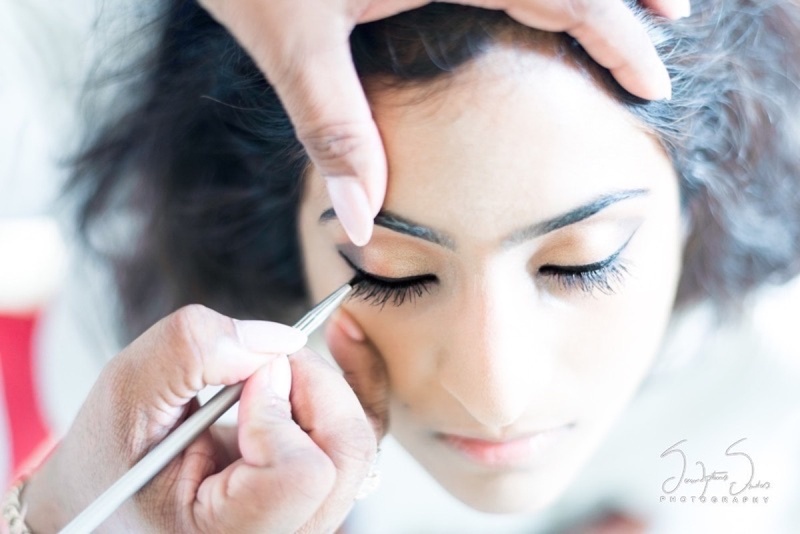 Bridal makeup photography by Serendipitious Smiles. 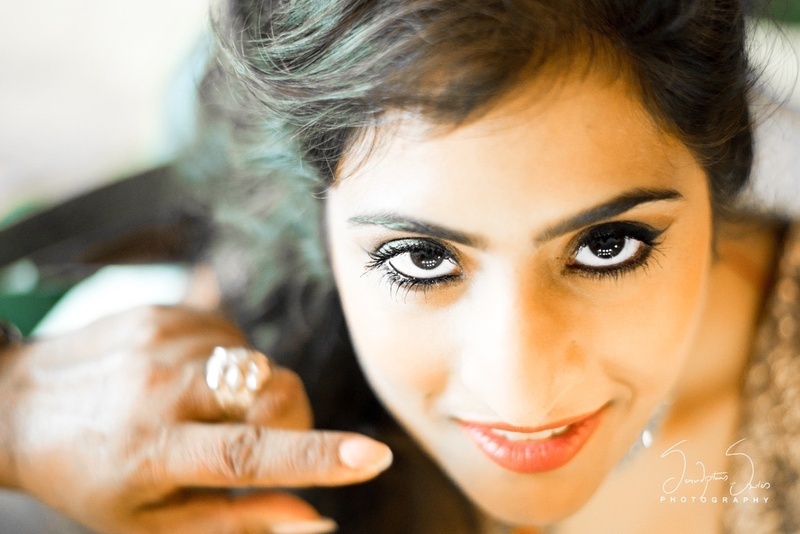 Bridal makeup by Sharmistha Thampi. 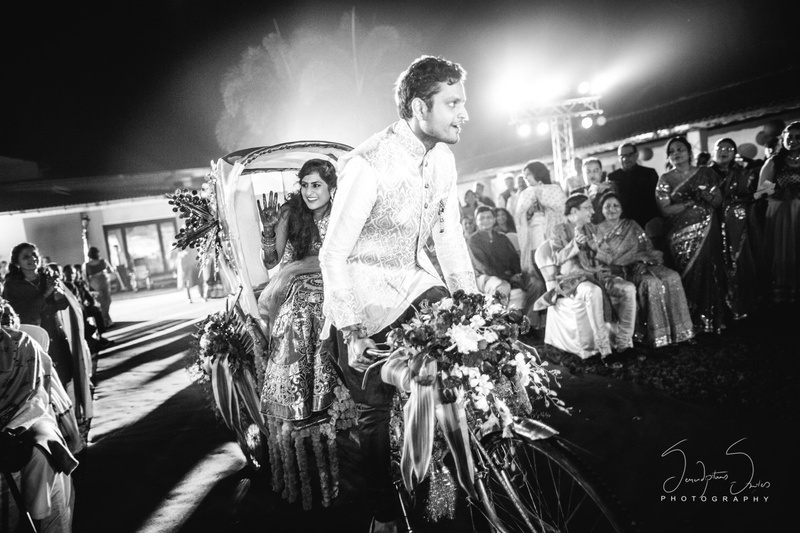 Bride and groom entering their sangeet ceremony on a Rickshaw. 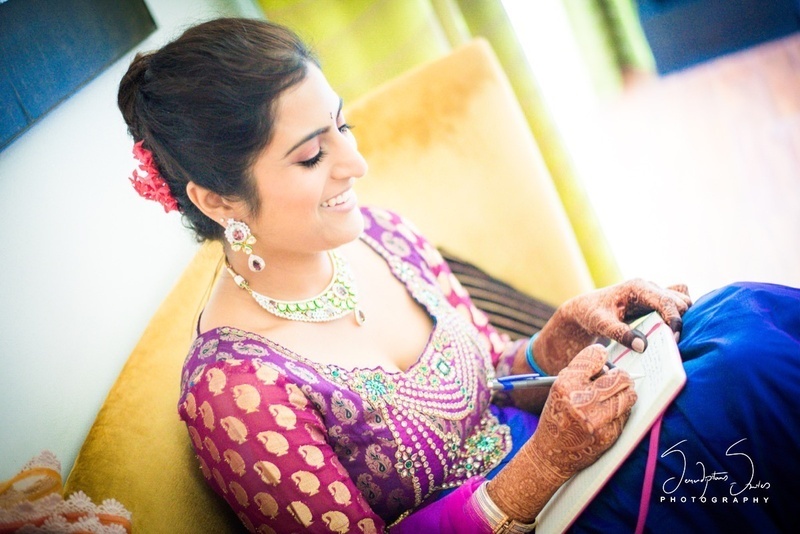 Beautiful bride wearing fresh purple brocade kurti styled with diamond jewellery. 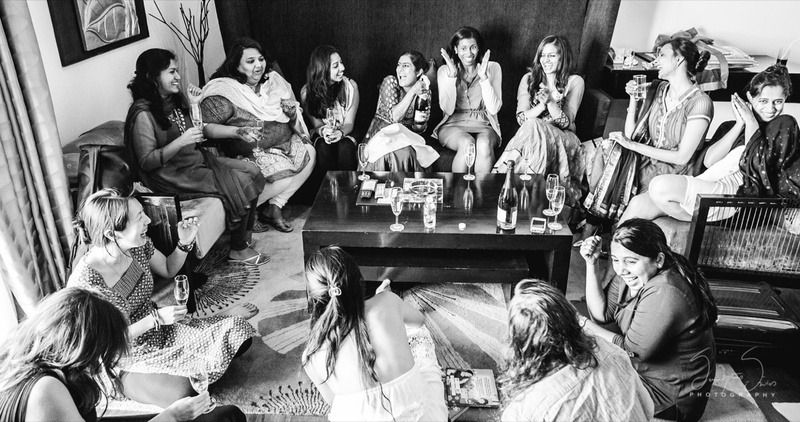 Bride having last minute bachelorette fun with her brides maids. 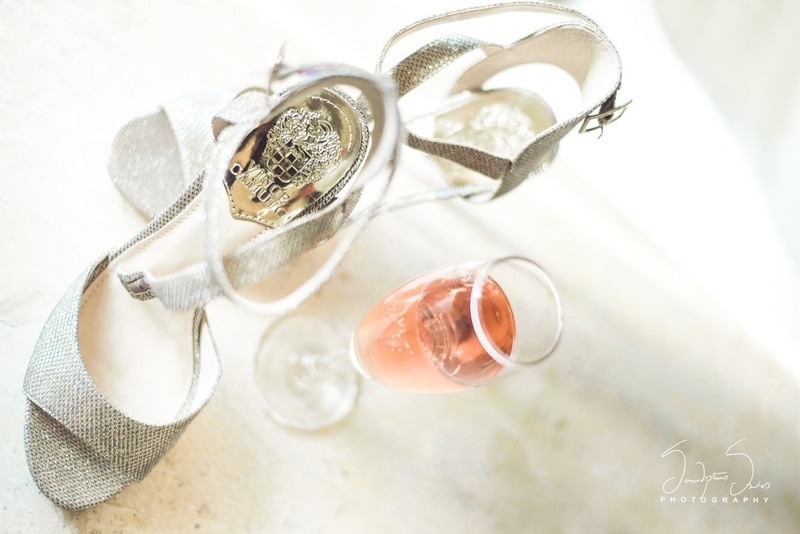 Wedding shoes by Vince Camuto. 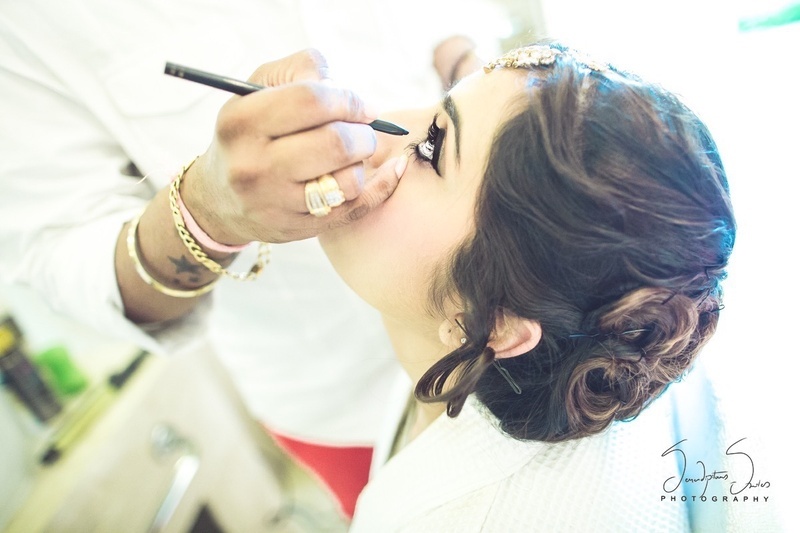 Bride getting her make up done by Sharmistha Thampi for her wedding day. 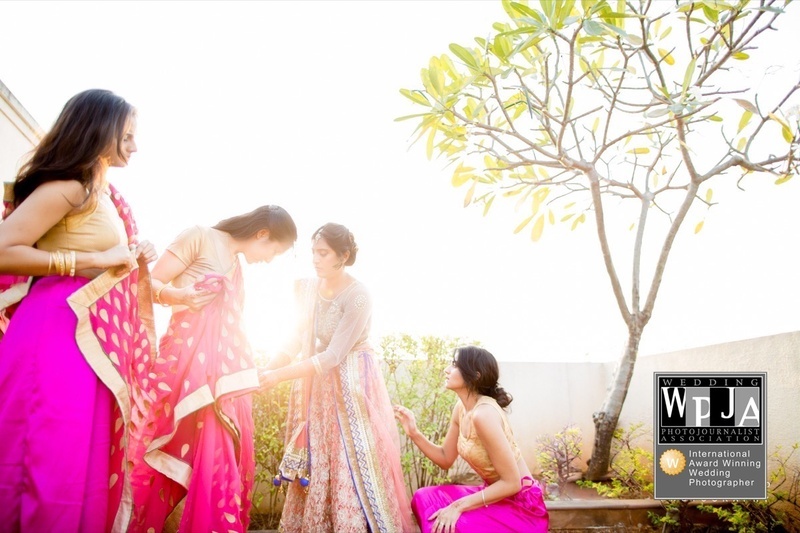 Brides maids getting ready in lovely bright pink Sarees for the wedding day. 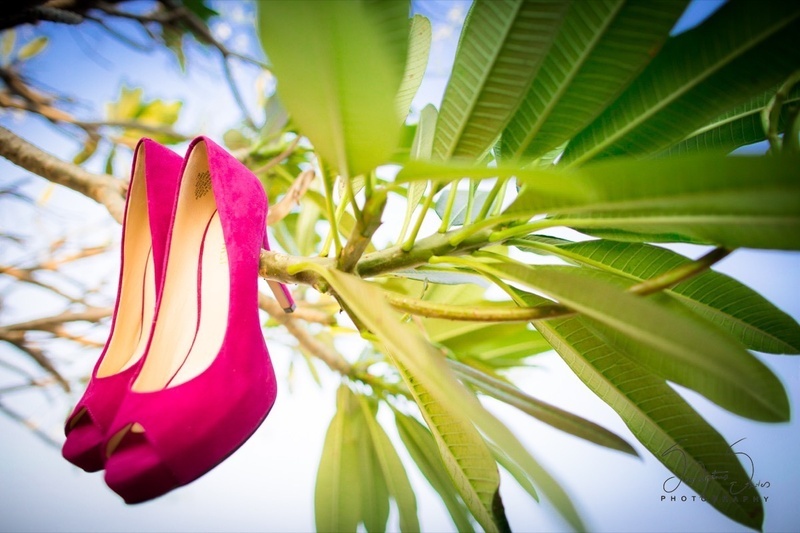 Pink shoes for the wedding day. 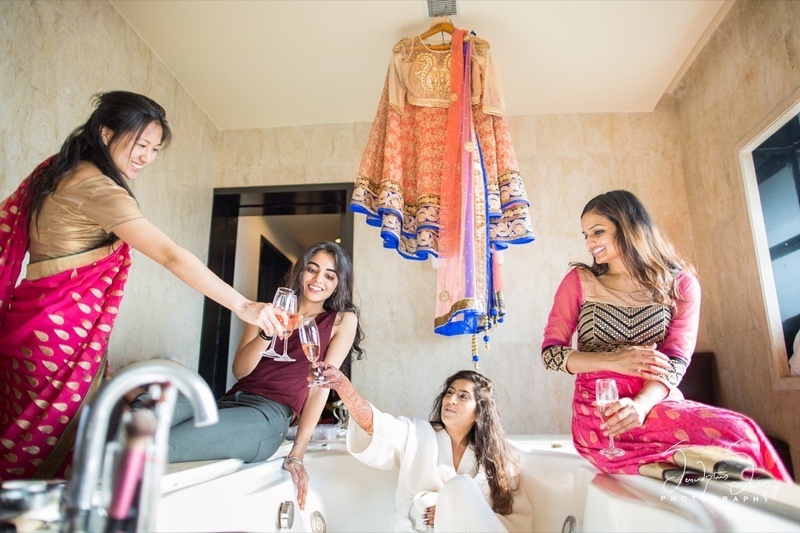 Pink bride and her pink brides maids getting ready. 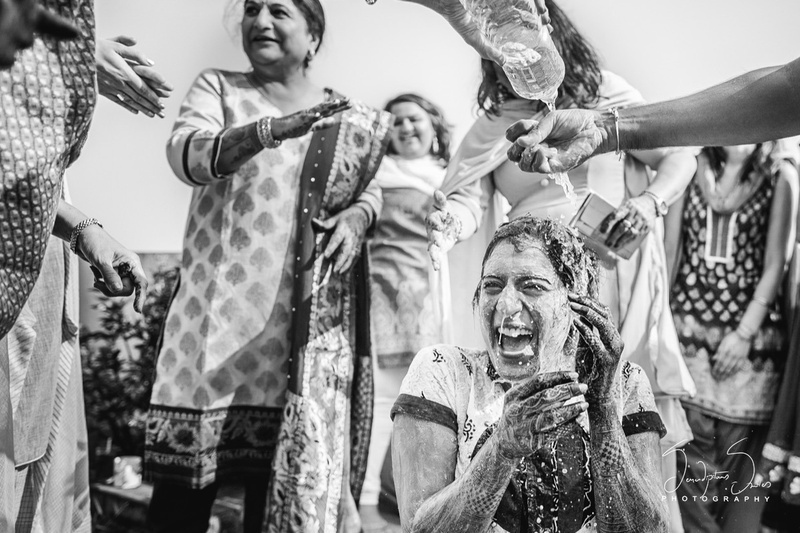 Pre wedding fun with brides maids. 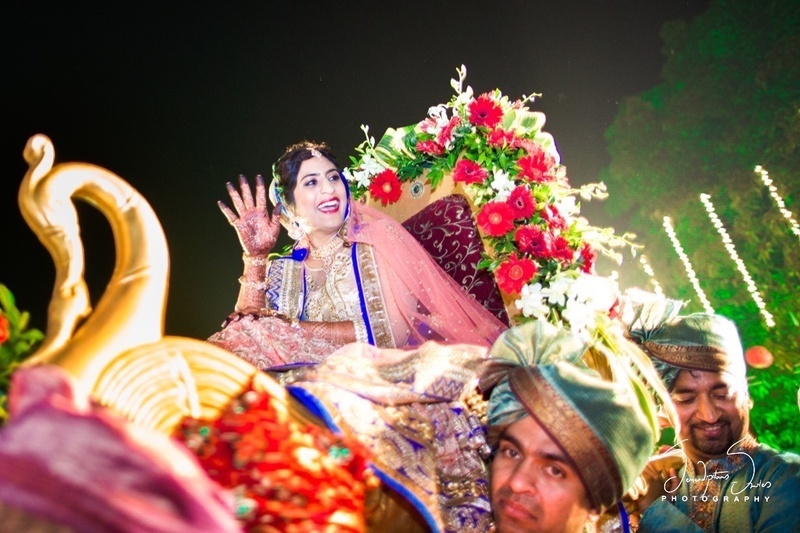 Bride looking gorgeous in this beautiful pastel pink bridal lehenga by Vandana Sethi. 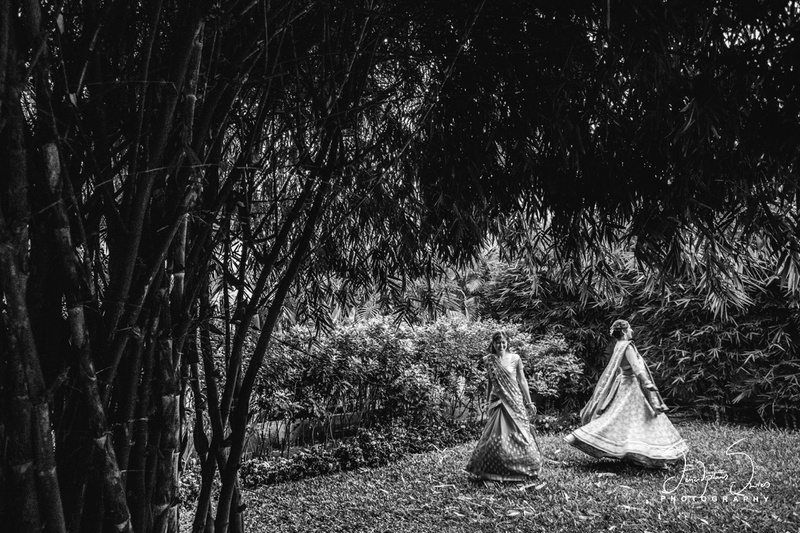 Pre wedding black and white bridal photography. 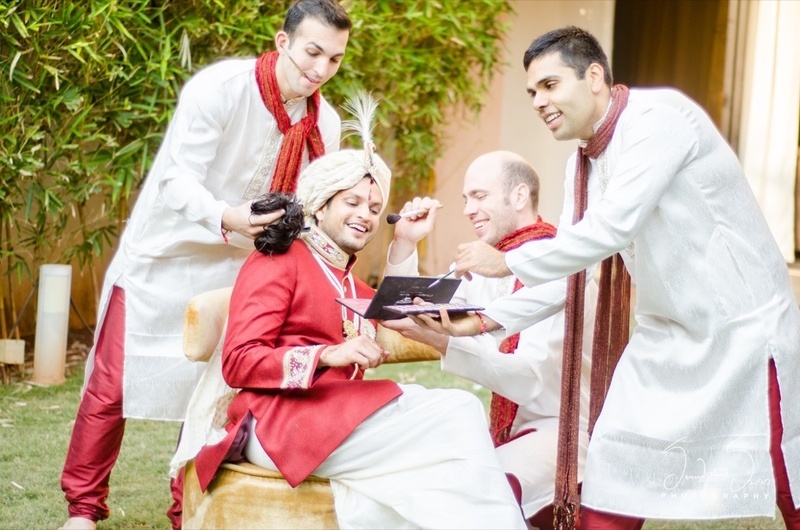 Groom and his groomsmen having fun. 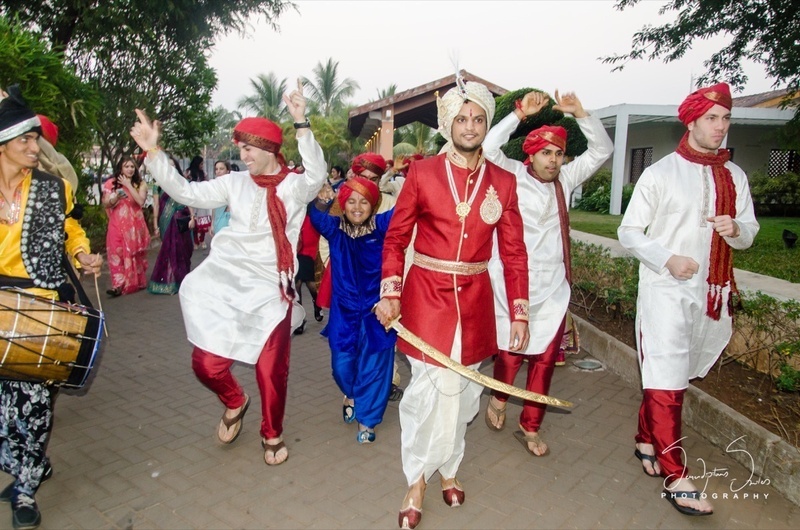 Baaratis entering the wedding venue with dhols. 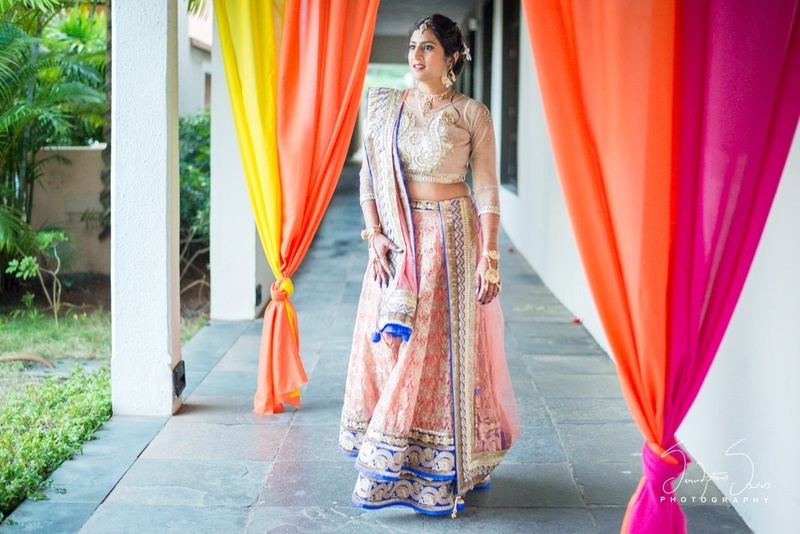 Bridal entry for her wedding ceremony held at Radisson Blu, Alibaug. 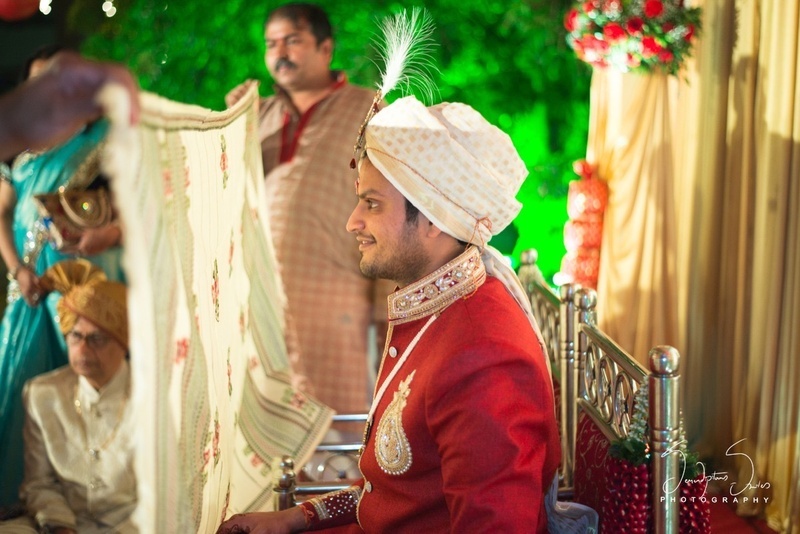 Groom at his wedding ceremony wearing ravishing red sherwani !